How real estate in Slovakia attracts foreign buyers? The stable economic and political situation, high standard of living, low crime rate, more than affordable tax rates and low prices of real estate in Slovakia attracted to the local market a growing number of foreign investors and private buyers. International companies are buying property here in order to develop and maintain a successful business. From the other hand individuals are seeking to buy a property in this friendly European country as a second, so-called resort or first home. 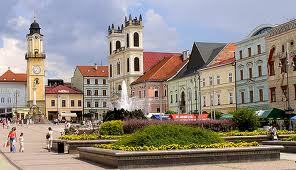 First of all residential lodging market in Slovakia is of interest to lovers of comfortable winter holidays. In this small country prevails continental climate, which making it an excellent destination for winter vacations. At the same time, the mountain resorts in the country are famous not only with skiing, but also with its balneological centers, which in this country are also a lot. And, of course, all of this can be enjoyed in full at any time of the year, having an apartment, studio or house in Slovakia. In comparison with neighboring countries housing prices in Slovakia (for example, Austria and Hungary) are at a very low level. At the same time, the choice of real estate in residential or commercial segments of the market here is very high. In Slovakia, you can buy a home from the owner or through an agency, but the property from the developer here is also quite well represented. In addition, primary housing can be bought already finished or in any stage of construction, starting from the excavation. Buying a house, an apartment in the capital, a studio in the mountains or in any other major city and resort in Slovakia, the owners not only protect their capital from inflation and crisis, but may receive a high additional income. Having a beautiful private, long-lasting, economical holiday the foreign homeowners in the country have equal rights with citizens of Slovakia – they could let the property on short-term or long-term lease and earn on the next relaxing vacation.